With the conclusion of the group stages at the 2016 UEFA European Championships, we take a look at the cause of the elimination for each of the eight sides departing France earlier than all others. The bottom team of each of the six groups, along with two 3rd place teams that did not make the cut as the four best from that position are heading home. But, while for some the expectations were not great to begin with, for others an exit at this early stage was a shock. So what went wrong for each team? Getting a result in their opening day match against hosts France was always going to be tough. But after a decent performance against the French which ended in a loss that came just minutes before the final whistle, and a draw against the Swiss, Anghel Iordănescu's side was pretty much guaranteed a spot in the round of 16 if they were to win against minnows Albania. 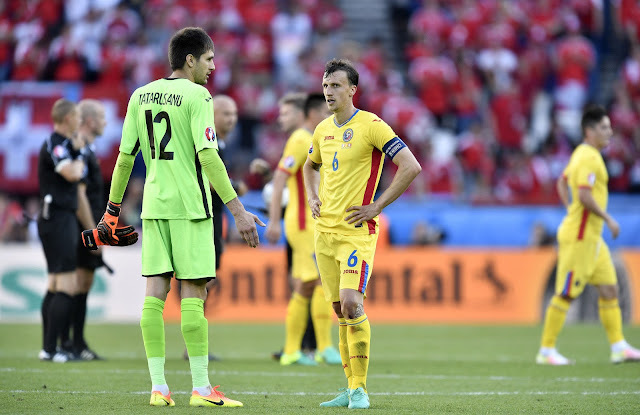 Despite allowing their opposition the least amount of goals against in the qualifying stages, Romania could not hold the Albanians off the scoresheet and a 1-0 loss sent Romania crashing out of the tournament. Iordănescu who came out of retirement to coach Romania for the third time in his career did leave the team after their elimination. 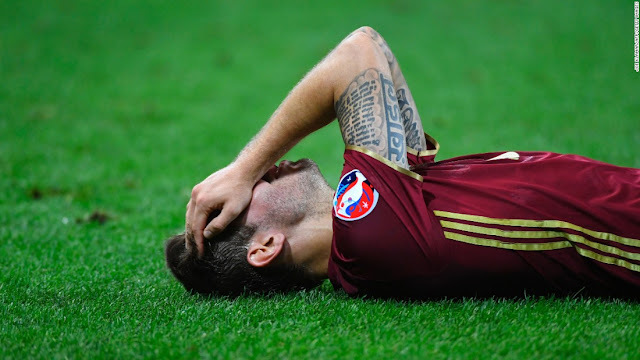 For the Russians, it was simply a matter of terrible form all throughout the tournament. On the streets of France, Russian hooligans overshadowed their national team's performance on the pitch since the first day, and a late match-tying goal from defender Vasili Berezutsk against England was the only thing exciting about the team in their three games and a result that was somewhat misleading in regards to Russia's overall terrible play. A 2-1 loss to Slovakia followed and the Russian's tournament was finally capped by a 3-0 thrashing at the feet of the Welsh. Manager Leonid Slutsky offered his resignation shortly after his team's final match. 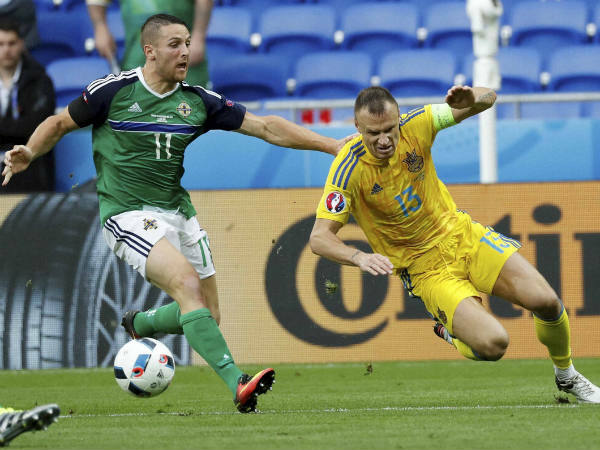 In a group which was bound to be dominated by defending world champions Germany, Ukraine's 2-0 loss in the opener against Die Mannschaft was not only seen as a given, but for most Ukrainians was a positive as the Yellow and Blue played well, created chances and on some ocassions were just barely denied by Manuel Neuer. With two matches remaining, an expected victory against Northern Ireland would create the exact scenario Ukraine predicted to be in; a match-up with neighbors Poland for the 2nd spot in Group C. But perhaps looking forward to the game against Poland was Ukraine's demise in this tournament as the illprepared side looked flat against Northern Ireland, losing by a final score of 2-0 and as a result becoming the first team to be eliminated from the tournament, with the upcoming match against the Polish losing any meaning for the Ukrainians. Starting the tournament with a 1-0 loss to the defending European champions didn't seem all that bad for the Czechs. With a spectacular 2-2 comeback against Croatia, the Czechs were on their way to secure a round of 16 spot with a win against Turkey, a side that have yet to secure a single point or goal in their first two matches. But despite being picked as favorites against the Turks, the Czech's lucklaster performance on Tuesday night handed Turkey the win and sent Pavel Vrba's side packing with just the 1 point to their name. 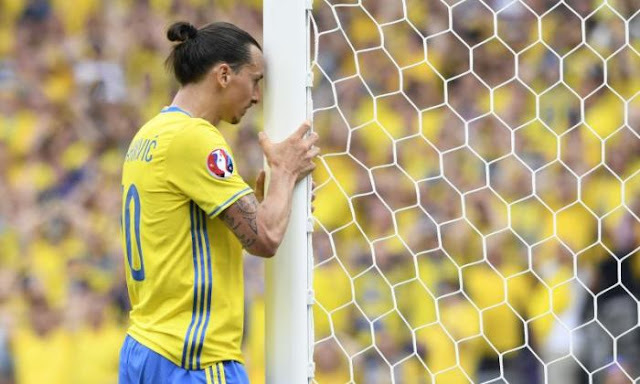 Unlike in the popular Pixar movie where everyone's favorite fish Nemo is found at last, Zlatan Ibrahimovic's teammates did not have the same luck with Sweden's favorite striker. Inability to provide Ibra with the support he had been so used to in the past with the likes of Ajax, Inter, AC Milan, Barcelona and PSG, Sweden's star-man failed to impress and as a result the Swedes finished last in Group E. Perhaps it is unfair to put such a big responsibility on a single player, but the always cocky forward has been out to prove that he is not getting old and is still the best in the world; so why not put all the blame on him after he failed to score a single goal in what is said to be his last time wearing the national team shirt? After spectacular results in the qualifying stages, in which Austria was able to summit their group over Sweden and Russia, expectations for Austria's 2016 Euro campaign were pretty high. Some experts went as far as predicting Marcel Koller's side to top their Euro group over Portugal, Hungary and Iceland as well, but the pressure seemed too high for the side who's last major tournament participation was in 2008 when they co-hosted the European Championship alongside Switzerland. 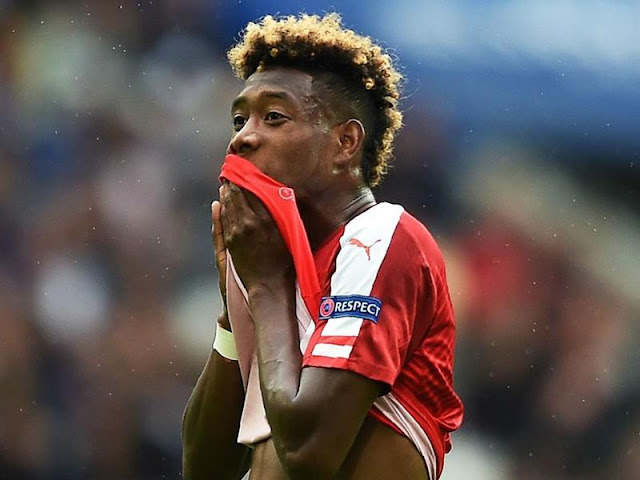 But in France, a tournament that began with David Alaba hitting the post within 60 seconds of their first match kick-off against Hungary, quickly turned sour with a 2-0 loss to the Hungarians, a scoreless draw with Portugal and a 2-1 loss to Iceland in a "must-win" match. In hindsight, Austria's qulifying campaign did include rivals all of which failed to reach the second round of the competition and perhaps the high expectations were not warranted to begin with. Finishing in third place behind the French and Swiss, but ahead of Romania, Albania is probably the only first round eliminated side that will look back at the tournament as a small step forward as far as their national team progress is concerned. After all, it was their first major tournament appearance, an ocassion in which they managed a victory and two hard-fought losses to the Swiss and hosts France. For a couple of days the Albanians even had to stay back in France as they had a small chance of qualifying to the round of 16 as one of the best 3rd place teams; although that did not happen at the end. Overall, a fairly successful tournament for the minnows. An inspired performance against Czech Republic in their third and final match saw Turkey waiting on the very last results of the group stages to find out whether or not they would qualify for the round of 16. But despite the 2-0 win against the Czechs, a 1-0 loss to Croatia and a 3-0 thrashing by defending European champions Spain saw Turkey head home. Against Spain, Turkey looked lost on the pitch and captain Arda Turan was even jeered by his own supporters.